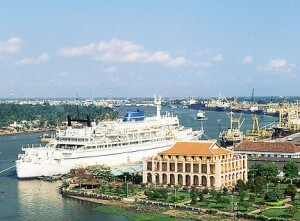 We offer different types of tour for a day trip to visit Saigon. It depends on your interest if you like to do all the “must-see” places, or skip the tourist path and explore Saigon in your own way, or you just want to spend half a day go to the market and feel the beats of the city, let us know and we will make it happen. All tours included local tourguide, transfer (can be walking, motorbikes, cars or taxi on your request) and as flexible as it can be. If you have more ideas of what you want to see in Saigon, we are willing to put up an suitable itinerary for you. Found things you want to visit on Trip Advisor or Lonely Planet? Our “Must-see” tour will take you to Reunification Palace, War Remnants Museum, The Old Post Office and Notre Dame Cathedral and end of the day with famous Ben Thanh Market. Lunch in local restaurant is included. Join a hands-on cooking class and make Vietnamese Food – southern style in Saigon including a visit to the market. Your day is gonna be rewarding with fun and experiences on cooking and eating. Learn some table manners of Vietnamese too! You will be surprised to see the city at different time of the day, Enjoy a day trip with our tourguide in Saigon with some shopping and relax on Saigon River to have a cruise dinner. You have been reading about Saigon is a place to shop – much better shopping here than Hanoi. So it’s worth while to spend a day or ½ day to go with our guide so you know which store is the best without looking into your guidebook. Our guide knows where is the best places and can help on bargaining if you are not good at this.